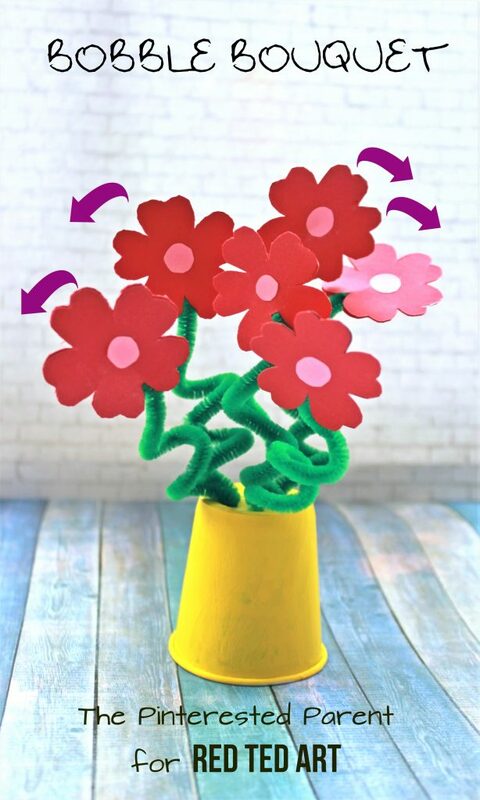 Easy Flower Bouquet Craft for Kids – these flowers “bounce” and “bob” when you give them a little push. 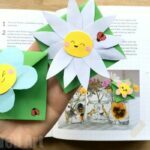 A perfect “Lovely” Craft for Valentine’s Day or Mother’s Day. Too cute. 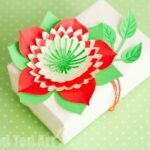 This is gorgeous guest post by Kim from The Pinterested Parent as part of the 31 Days of Love series. 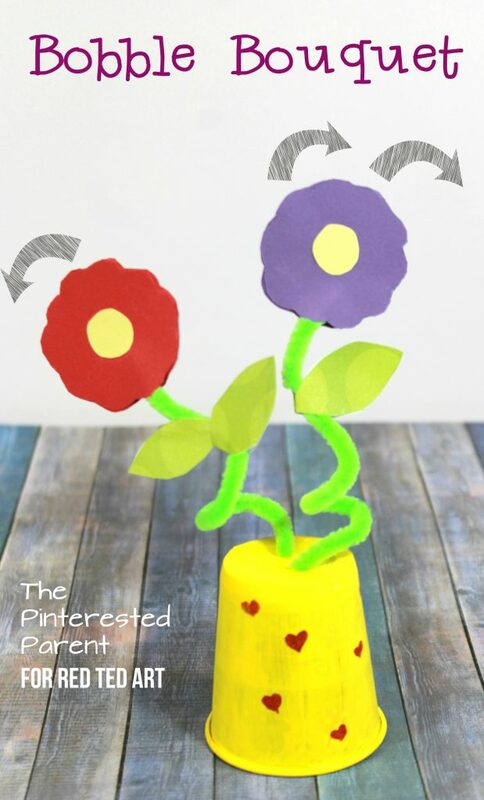 It is a perfect Kids Valentine’s Day Craft, but also be a great Mother’s Day Craft or fun Flower Craft for Spring!!! This would certainly cheer up any desk space what ever the occasion. Who doesn’t love to receive a Bouquet of Flowers?! Hi, Kim from The Pinterested Parent here. We are so excited to be a part of Red Ted Art’s 31 Days of Love series. With Valentine’s Day a month away, love is definitely in the air and we are happy to show you what we have been up to in celebration of all that love. 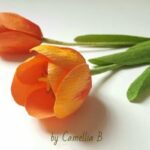 And what better way to say I love you, then with a cute and playful flower bouquet. 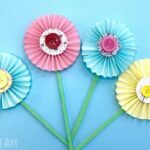 These fun and bobbly flowers are perfect for Valentine’s Day, Mother’s Day or as a spring or summer craft. Use a toothpick to poke a hole into a Dixie cup for every flower that you would like to have in your flower bouquet. 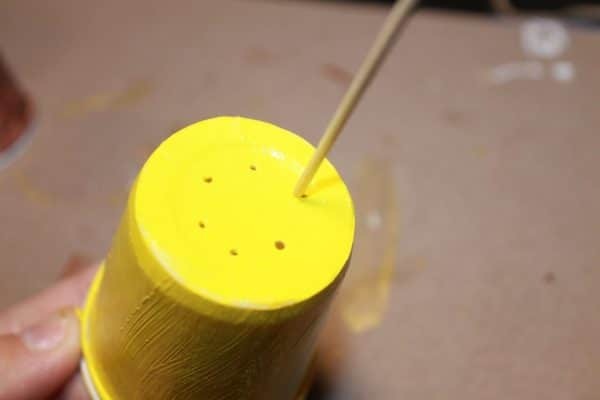 Paint the cup in the acrylic paint color of your choice. 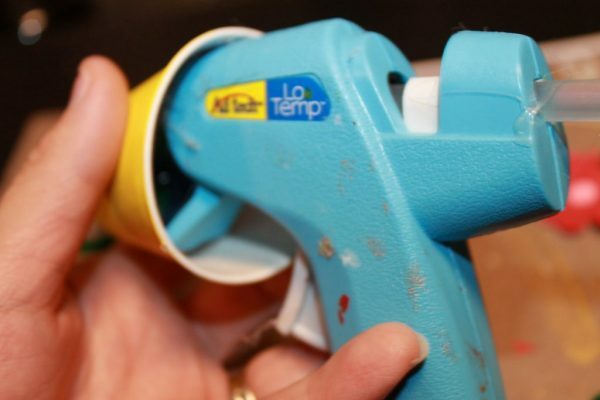 If paint gets into the holes, clear the paint out of the holes by poking through the holes again. Let the cup dry. 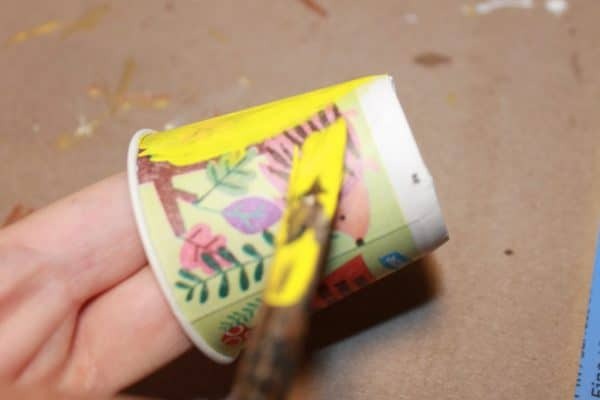 You can paint on designs or use markers to enhance your Dixie Cup vase once the paint has dried. 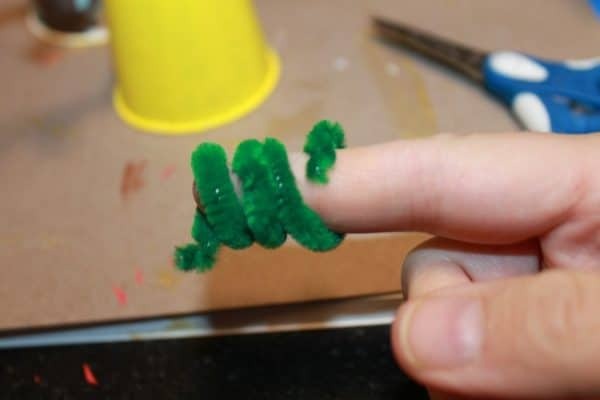 Cut a pipe cleaner in half and coil it around your finger. Do this for every flower that you want to add to your bouquet. 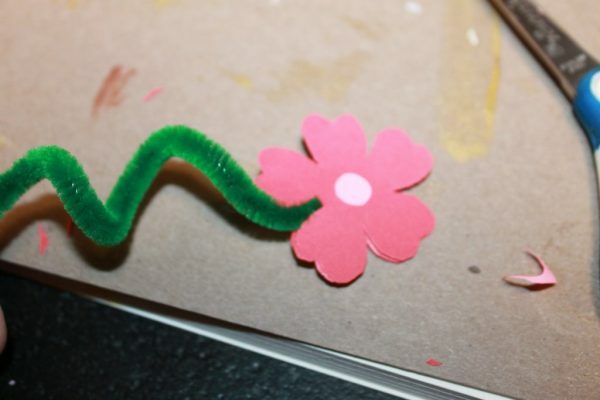 Cut different lengths of pipe cleaner to stagger the flowers. Straighten a little bit of pipe cleaner on each end. 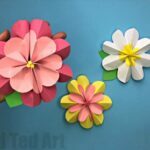 Cut out two identical flower shapes for each flower being made. 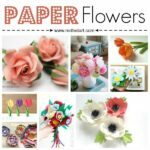 Your flowers can be simply round or heart-shaped or you can sketch out and cut out more detailed designs. We made our flowers about the size of a half-dollar. You don’t want to make them too big or they will weigh down the pipe cleaner and droop. 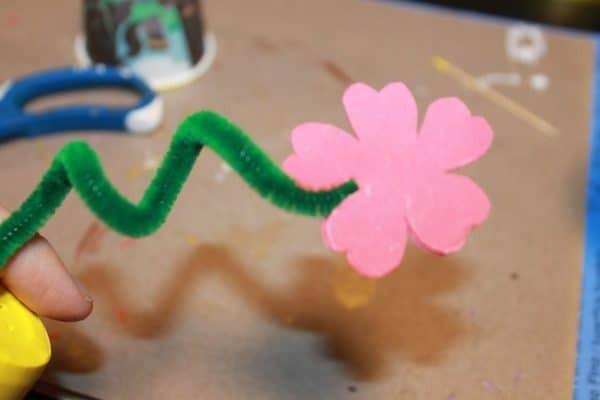 Glue the two shapes together with just a little of the tip of a pipe cleaner between them. 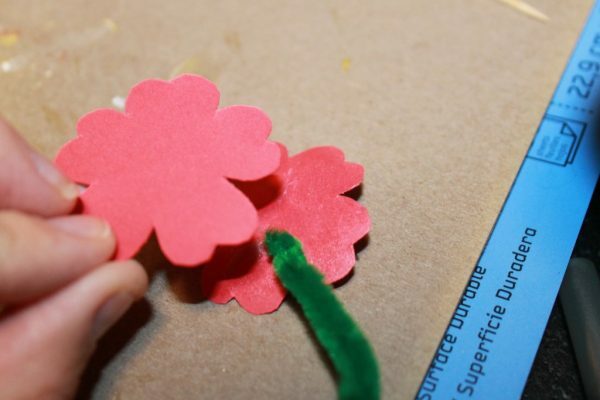 Cut a small circle for the center of your flower and then glue it into place. 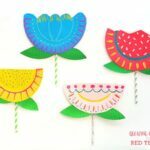 Poke your flower into one of the holes in the Dixie Cup and bend the end under. 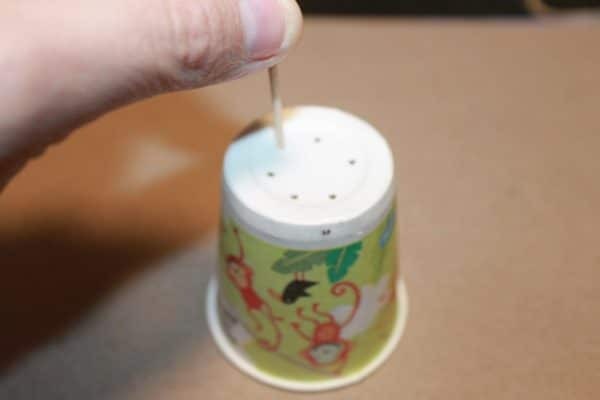 Squeeze a generous amount of glue into the bottom of a cup using a low temp glue gun. This will secure the pipe cleaners and keep them from just falling over. Let the glue harden completely. 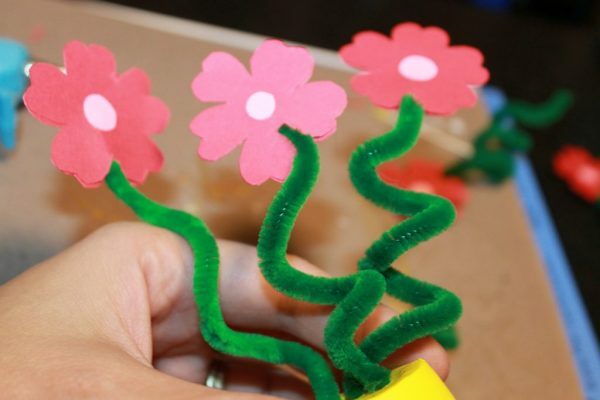 Add glue after inserting each flower. 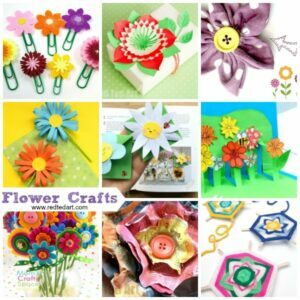 When the glue is dry, you can bend and twist your flowers if they need adjusting. 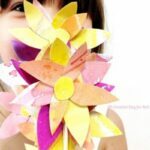 Make a single bobbling flower or make a bouquet with two to six flowers. The choice is yours. 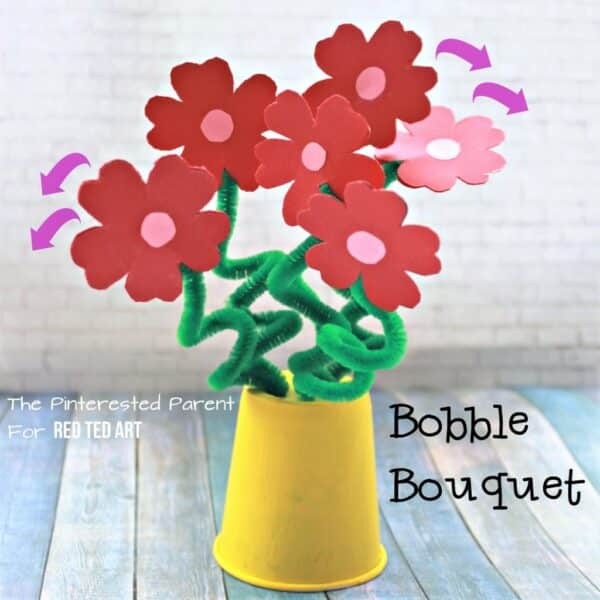 Shake your cup a little and watch your flowers bobble about. 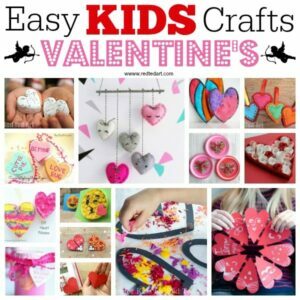 If you enjoyed this, you might like some of our other Valentine’s crafts and activities.